Charles Edward Bean was born in Bathurst, New South Wales, on 18th November, 1879. His family moved to England in 1889 and on the completion of his secondary education he won a scholarship to Hertford College, Oxford, where he studied classics. In 1904 Bean returned to Australia where he was admitted to the New South Wales Bar. Four years later he joined the Sydney Morning Herald as a journalist. His account of outback life, On the Wool Track, was published in 1910. On the outbreak of the First World War Bean became Australia's official war correspondent. He was given the rank of captain and travelled to Egypt with the Australian Imperial Force (AIF). He was with the first contingent of the AIF that landed at Gallipoli on 25th April, 1915. Two weeks later Bean was recommended for the Military Cross for his bravery during the Australian charge at Krithia. However, as a civilian he was ineligible to receive it. In 1916 Bean went to the Western Front where he reported on the Battle of the Somme. Later that year he published The Anzac Book (1916). After the war Bean began work on The Official History of Australia. His 4 million word history took 22 years to produce and the 12th and final volume was not published until 1942. 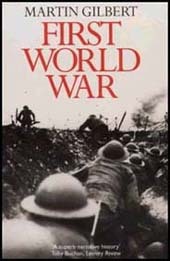 He was also the author of From Anzac to Amiens (1946), a single volume of the war. Bean was instrumental in establishing the Australian War Memorial and in 1952 he became chairman of the Board of Management of the War Memorial. He also chaired the Promotion Appeals Board of the Australian Broadcasting Commission (1947-58). Charles Edward Bean died at the Concord Repatriation Hospital in August 1968. The Australians and Maorilanders landed in two bodies, the first being a covering force to seize the ridges around the landing about an hour later. The moon that night set about an hour and a half before daylight. This just gave time for the warships and transports of the covering force to steam in and land the troops before dawn. The covering force was taken partly in four of our own transports, partly in three battleships. The night was perfect; about three oclock the moon set, and the ships carrying the troops, together with the three warships which were charged with the protection of the flanks, stole in towards the high coastline. It was known that the coast was fortified, and that a battery on a promontory 2 miles southwards, and several other guns amongst the hills inland covered the landing place. The battleships and transports took up a position in two lines. The troops were transferred partly to the warships boats, and partly to destroyers, which hurried in shore, and re-transferred their occupants to boats, which then made by the shortest route for the beach. It was eighteen minutes past four on the morning of Sunday, 25th April, when the first boat grounded. So far not a shot had been fired by the enemy. Colonel McLagans orders to his brigade were that shots, if possible, were not to be fired till daybreak, but the business was to be carried through with the bayonet. The men leapt into the water, and the first of them had just reached the beach when fire was opened on them from the trenches on the foothills which rise immediately from the beach. The landing place consists of a small bay about half-a-mile from point to point with two much larger bays north and south. The country rather resembles the Hawkesbury River country in New South Wales, the hills rising immediately from the sea to 600 feet. To the north these ridges cluster to a summit nearly 1,000 feet high. Further northward the ranges become even higher. The summit just mentioned sends out a series of long ridges running south-westward, with steep gullies between them, very much like the hills and gullies about the north of Sydney, covered with low scrub very similar to a dwarfed gum tree scrub. The chief difference is that there are no big trees, but many precipices and sheer slopes of gravel. One ridge comes down to the sea at the small bay above mentioned, and ends in two knolls about 100 feet high, one at each point of the bay. It was from these that fire was first opened on the troops as they landed. Bullets struck fireworks out of the stones along the beach. The men did not wait to be hit, but wherever they landed they simply rushed straight up the steep slopes. Other small boats which had cast off from the warships and steam launches which towed them, were digging for the beach with oars. These occupied the attention of the Turks in the trenches, and almost before the Turks had time to collect their senses, the first boatloads were well up towards the trenches. Few Turks awaited the bayonet. It is said that one huge Queenslander swung his rifle by the muzzle, and, after braining one Turk, caught another and flung him over his shoulder. I do not know if this story is true, but when we landed some hours later, there was said to have been a dead Turk on the beach with his head smashed in. It is impossible to say which battalion landed first, because several landed together. The Turks in the trenches facing the landing had run, but those on the other flank and on the ridges and gullies still kept up a fire upon the boats coming in shore, and that portion of the covering force which landed last came under a heavy fire before it reached the beach. The Turks had a machine gun in the valley on our left, and this seems to have been turned on to the boats containing part of the Twelfth Battalion. Three of these boats are still lying on the beach some way before they could be rescued. Two stretcher-bearers of the Second Battalion who went along the beach during the day to effect a rescue were both shot by the Turks. Finally, a party waited for dark, and crept along the beach, rescuing nine men who had been in the boats two days, afraid to move for fear of attracting fire. The work of the stretcher-bearers all through a week of hard fighting has been beyond all praise.